Even if picking the best of what has been an excellent year is difficult, is it fair to pick, as my top two, whiskies which are both sold out? I think not. A shame, because both were head and shoulders above the rest. Double shame because I failed to buy any! Longrow Red 13 Years Old, finished in a de Toren Malbec cask, was sublime and gave you hope for wine finishes, though when you consider the obsessive detail that the den Dulk family who own the vineyard take in producing their wines, then anything bar a stellar result was perhaps unlikely. More, please. It was only rivalled, on this palate at least, by the astonishing 19-year-old Sherry cask which Bowmore bottled at this year’s Fèis Ile. If you were lucky enough to buy either, please share with friends (or customers). If you bought one and then flipped it, then shame on you for depriving whisky lovers of great drams which were deliberately sold at a fair price. Talking of fair pricing, this year showed that, despite belief to the contrary, there are still fantastically well-priced whiskies out there. These affordable drams mean that you can share and have them as regular go-tos, rather than feeling you have to eke them out. So, chapeau to Shackleton, Cadenhead’s 12 year old blend, Ardbeg’s An Oa and Kelpie, the BenRiach single casks and GlenDronach cask strength Batch 6; and Gordon & MacPhail’s two Bunnahabhain cask strengths. 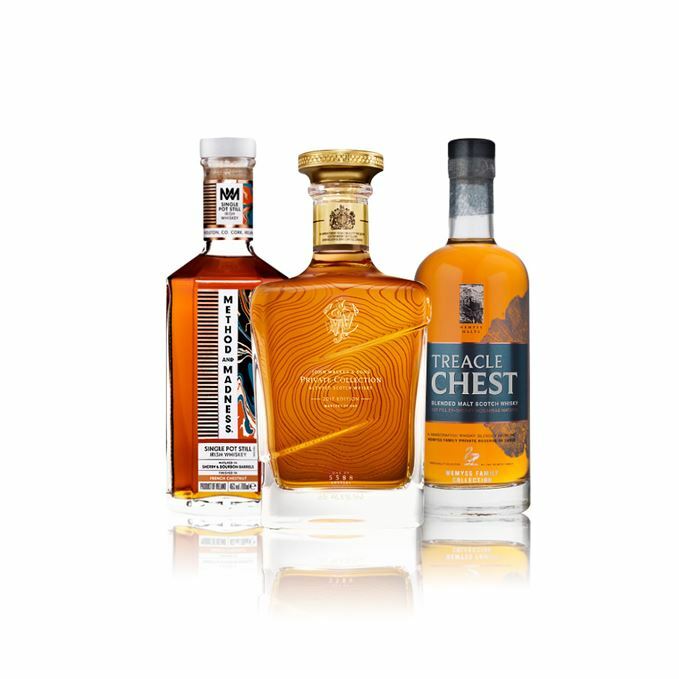 Mentions in dispatches to Glenmorangie’s relaunched Astar and newbie Bacalta, while the turnaround at Loch Lomond Group and Tomatin continued, Bowmore has returned from the doldrums, and the Johnnie Walker Blender’s Batch showed what is possible within the world of blending. There’s also a world of whisky to consider. Corby’s Lot 40 Cask Strength and Wiser’s 35-year-old showed why Canada should be seen as the next big thing, while Millstone’s 1996 was a fruit bomb to delight those who lust after this style. Starward continues to show what Australia is capable of, while Stork Club is doing the same in Germany, as is Stauning in Denmark. Chichibu IPA cask, Gotemba’s Blender’s Select, and Yamazaki Mizunara all showed that Japan isn’t sleeping. All demonstrated what 21st-century whisky should be about: diversity and quality. Pricing at the top end was even more loopy but, should money be no object, then G&M’s 70-year-old Glenlivet, or the newly released Bowmore 1966, both showed how extraordinary super-aged whiskies can be. Loch Lomond’s 50-year-old was admirable, as was Tomatin’s 1972. At a slightly more reasonable price, Springbank 21-year-old was a treat, as was the Bruichladdich Rare Series, especially the 30-year-old Sherried example. 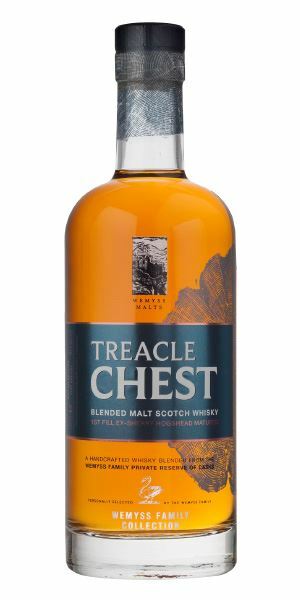 My affordable dram of the year was Wemyss Malts Treacle Chest blended malt. 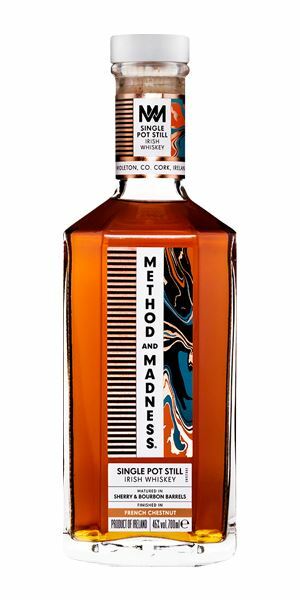 My ‘came out of leftfield’ choice was Irish Distillers’ ‘Method and Madness’ Single Pot Still Irish whiskey, finished in chestnut casks, a whiskey which I’ve returned to and grown to love increasingly as the level in the bottle has dipped over the year. 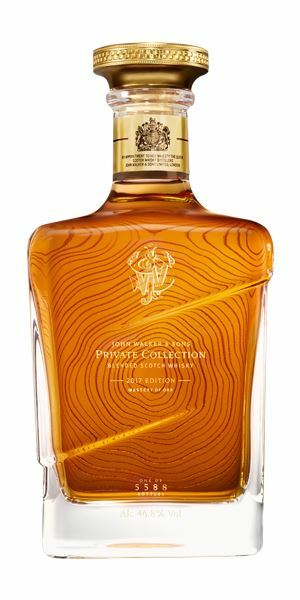 My luxury treat was John Walker & Sons Private Collection 2017 Edition. He was tired, no doubt of that. Days – no, months – spent in that workshop surrounded by the smell of wood glue, oil-soaked cloth and beeswax. Time to down tools, to relax by the fire with a pipe and glass. As he sat, he thought of all the years past, threw another log on the fire and watched it spit and crackle as he nibbled on some chocolate. The cushions sank under his weight and a sweet drowsiness seemed to fill the room. ‘Get the reindeer out, the boss is about to leave,’ came the cry. It never ended. Fills you with a happy seasonal afterglow. Boxing Day was his favourite day of the year. A sense of calm seemed to descend and, as the chaos of the previous day with its ripped paper and irritable niggles receded, so the aromas in the house seemed to layer themselves; cooking spices, ginger wine, stewing quince, grandad’s cigar. That was the thing about Boxing Day. A day to pull on those new, oiled boots and find the nearest pub and, en route, work out what other folk had been given just by looking at what they were wearing, like that rose perfume. It was a fresh, crisp day, the sort that made his nose and palate tingle as he entered the contrasting warmth of the pub, the smell of mulled wine greeting him. So what are Christmas flavours? Are they all about dried fruit and walnuts and fires, or something else? It really depends on where you are in the world. I mean, they could be chestnuts, clove and cedar, but equally they could be mango and apricot. In Japan, there might be a hint of miso and mirin. Only a blend can give this idea of balancing accords and contrasts; for every hint of weight there’s something light, raisins balanced by honey, apples and peaches by oak and nuts. Santa Ketch Up Eena Mango Tree.